I’m an author and I have some information for you. Download FREE Book Club Discussion Packs at http://books.noisetrade.com/chellecordero for all of your book club needs. There is also a terrific FREE sampler A Taste of Chelle Cordero on Noisetrade so you can check out all of my books. 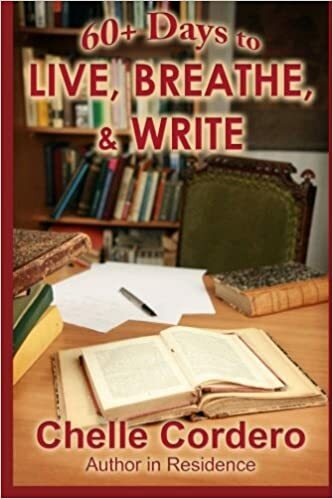 One of my books, 60+ Days to Live, Breathe & Write (available from Amazon in print and Kindle) has been used by multiple libraries, schools and writing groups around the nation. My publisher, Vanilla Heart Publishing, is part of worldwide library programming through OverDrive, Baker & Taylor\ Axis360, and Library Direct – libraries all over the world are part of the ever-growing trend toward e-books, AND important places in the communities they serve! and book discussion through SKYPE!